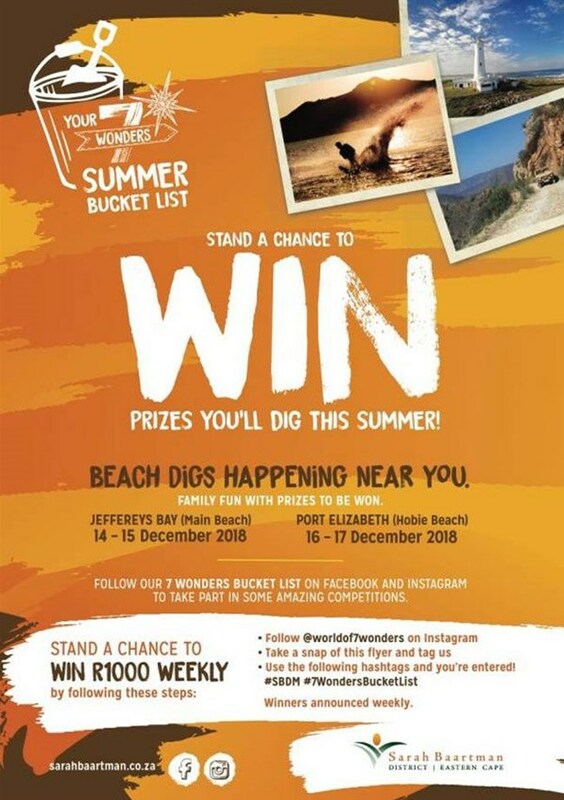 Building on the Seven Wonders campaign, Boomtown, for the Sarah Baartman area of the Eastern Cape, has rolled out the Seven Wonders Bucket List - the campaign for summer 2018/19. Designed to inspire people to make memories and explore the Sarah Baartman District, the Seven Wonders Bucket List is a list of must-dos within the region. To encourage participation, tourists are encouraged to share their Seven Wonders Bucket List experiences on social media. If participants tag and follow @worldof7wonders and use the hashtags #7WondersBucketList #SBDM in their holiday snap at one of the area’s Seven Wonders, they stand the chance to win a cash prize. “To encourage different visits to multiple attractions, two entries in two different attractions enters tourists into a grand prize draw,” adds Snyman. Designed to drive online awareness through the creation of experiences, people’s desire to share their travels and the excitement of potentially winning a prize. Supporting activations and activities included giveaways and promotional handouts at fillings stations en route to the Sarah Baaartman District, flyers at popular restaurants and retail outlets and a beach dig to win with the chance to win numerous prizes on two key beaches: Hobie Beach in Port Elizabeth and Jefferey’s Bay.